Q: What is NTRA Purchasing? A: An NTRA subsidiary formed in January 2002 to deliver cost savings and value-added services to NTRA members through contracts with major national suppliers. NTRA Purchasing was created through the acquisition of EquiSource, a group purchasing entity formed by UniStar and Churchill Downs Investment Corporation. A portion of revenue generated by NTRA Purchasing supports NTRA programs. Q: Who runs NTRA Purchasing? A: Executive Director Joe Morris, former John Deere national account manager for EquiSource. NTRA Purchasing is based at the NTRA in Lexington, with four field representatives. Q: Who are the suppliers with whom NTRA Purchasing has contracts? A: John Deere, Penske Auto Centers, Sherwin-Williams Paints, IKON Office Solutions, Boise Cascade Office Products, Kimberly-Clark, Hallway Feeds, and Kentucky Buying Cooperative. Q: What makes these contracts better than what members can negotiate? A: Price. With NTRA members' collective purchasing power, we negotiate contracts with very competitive pricing. 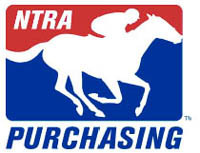 Q: Who can use NTRA Purchasing? A: Members or employees of NTRA dues-paying organizations, participants in the NTRA's voluntary programs and cash contributors to the NTRA through any NTRA-sanctioned dues program. For more information on the benefits of NTRA Purchasing, contact Heather Brown at (866) 678-4289.